25 year old Rosalba (Sal) Garcias, Miss Maimon, glided away with the 2016 Miss Dominican Republic Universe title last night. Garcias, who stands a whopping 1.87m tall, will represent her country at the 65th Miss Universe Pageant later this year. The first runner-up was Miss Santo Domingo Oeste, Joely Bernat, while Miss La Vega, Marlenis Peralta, finished in third place. 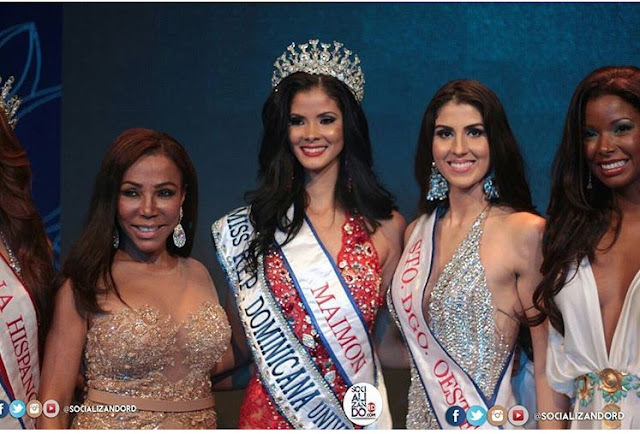 Barbara Santana, Miss San Pedro de Macoris, finished in fourth place and Miss Valverde, Joanne de Lara, finished in fifth place. Katherine Camacho, Miss Santiago, completed the top 6. She needs a major styling overhaul, but I am sure she will be competitive come Miss Universe season.